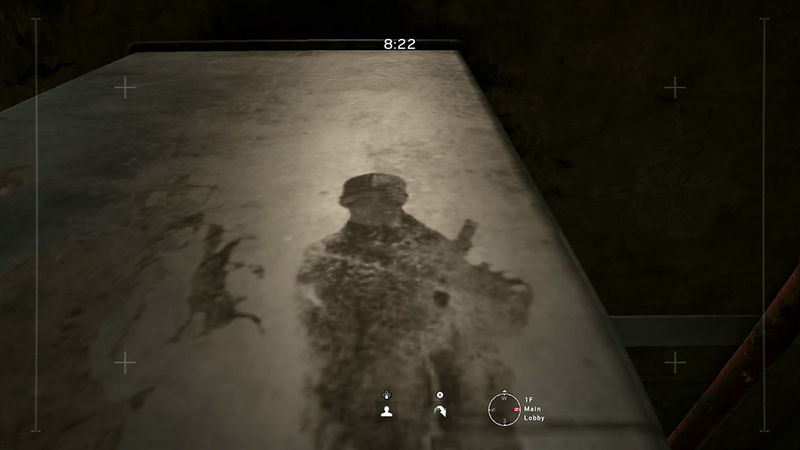 One the vents in 1F Main Lobby, silhouettes of Ash, Smoke and Fuze can be seen formed by stains on one end of the vents. 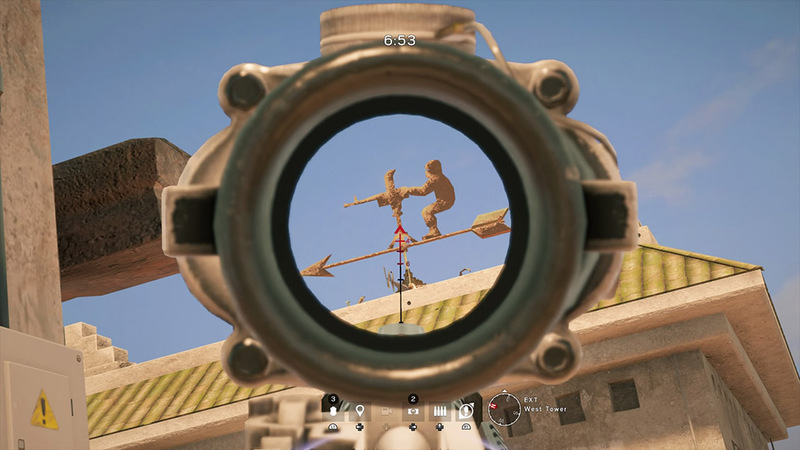 Found on the roof of the Fortress, players can find a weather vane that looks like Tachanka while using his machine gun turret. 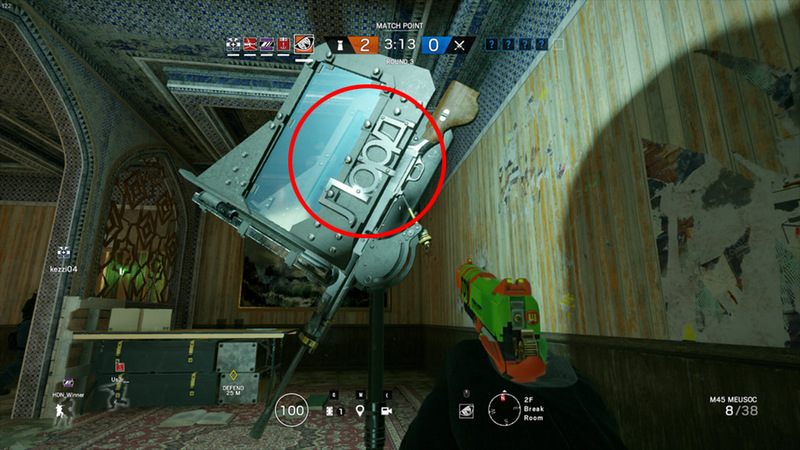 When viewing Tachanka’s mounted RP-46 Degtyaryov Machine Gun players can see large Russian letters welded on the shield’s side panels which reference the, “Lord Tachanka” meme. 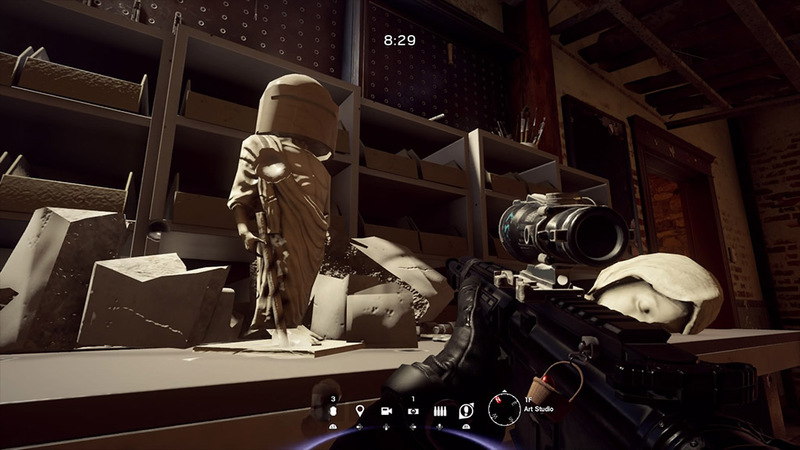 Breaking a block of marble on Villa reveals a glorious statue of Tachanka. 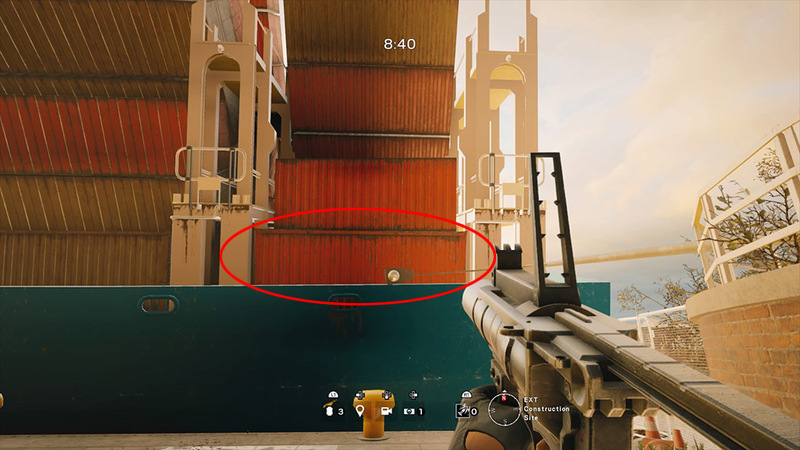 Hidden on Fortress is a box similar to the hidden tunnel entrance on Tower. After breaking it you’re met with a funny surprise. 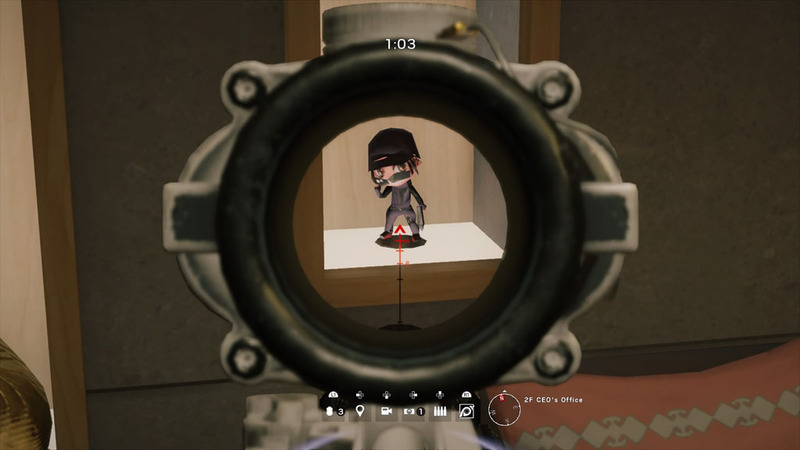 On the map Tower players can find five hidden Rainbow Six operator figurines. 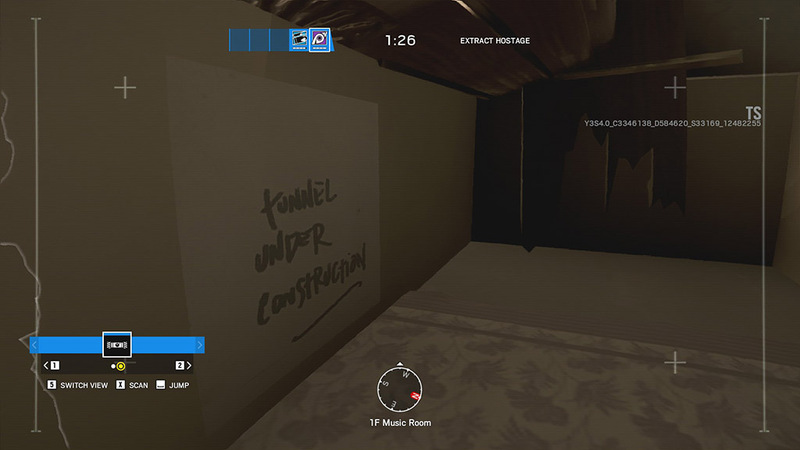 On House, players can find overhead models of the first floor of the map, Hereford Base. 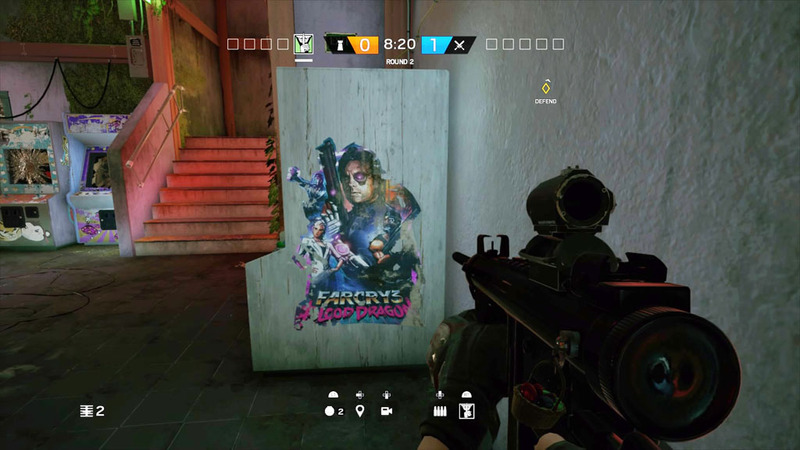 A broken arcade cabinet for Far Cry: Blood Dragon can be found on the map, Theme Park. 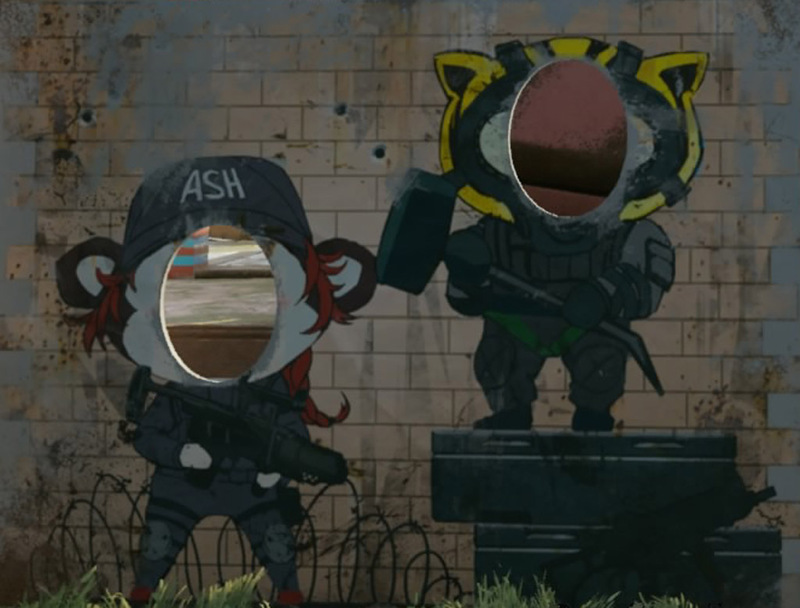 A faceboard with animal versions of Ash and Sledge can be seen near the front entrance. 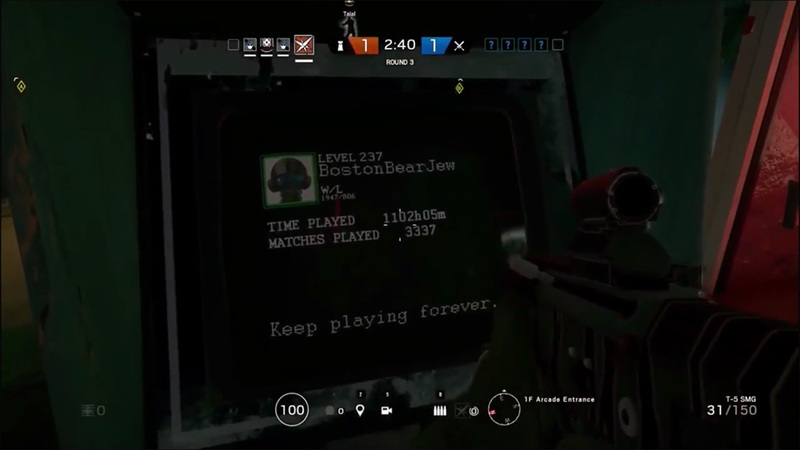 A memorial to a fallen Rainbow Six Siege player can be found on the Theme Park map. 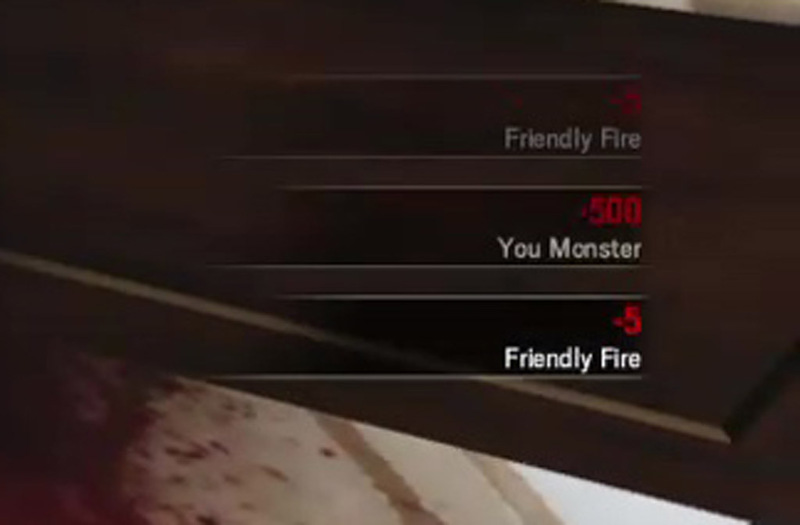 Shooting and downing the hostage multiple times as a Defender gives a secret message and penalty. 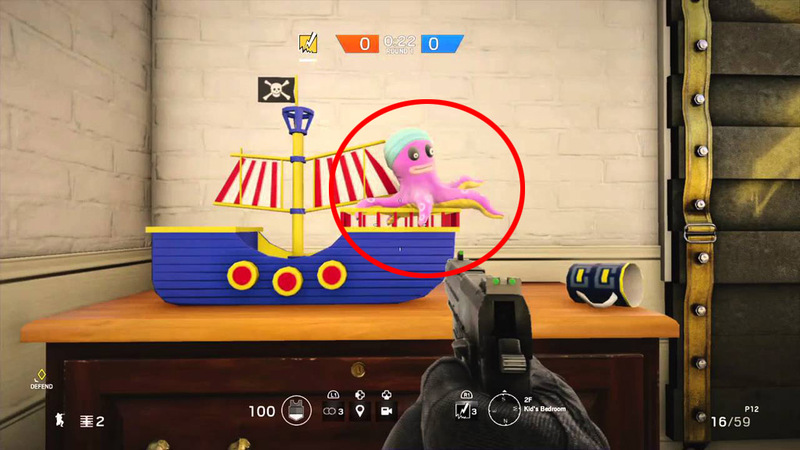 On the map House, if you melee a certain toy octopus it will grow in size. 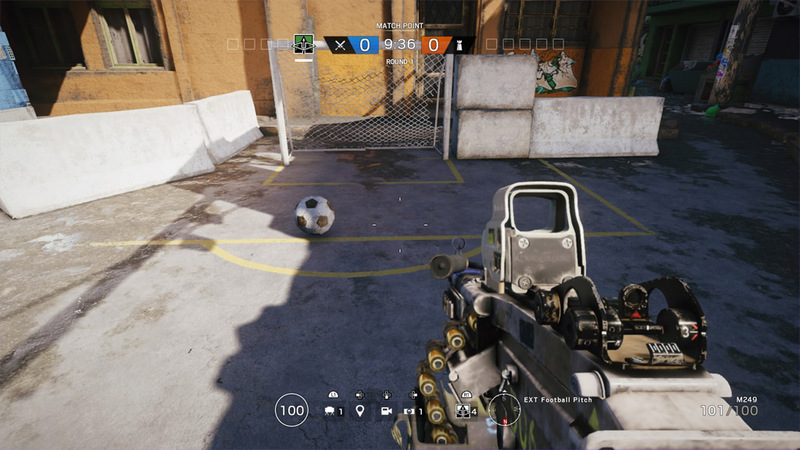 On the map Favela players can play soccer and initiate a sound effect each time they score. 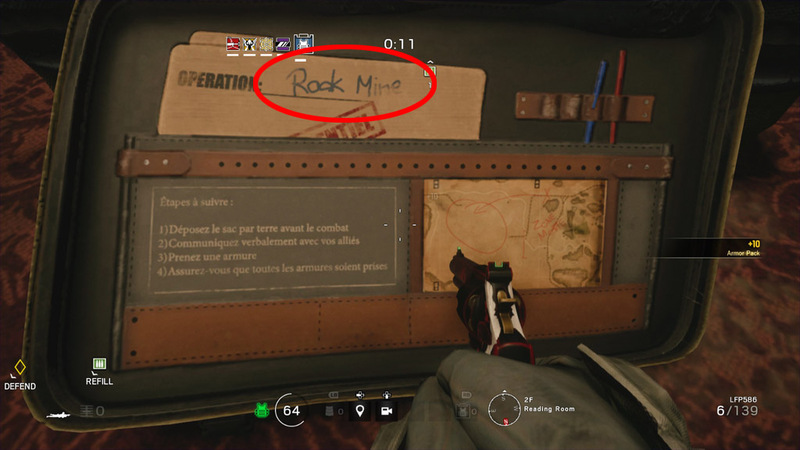 Rook’s Elite set includes a newly skinned armor bag which references the meme, “Rook Mine”, a meme widely known in the Rainbow Six community. if you shoot the well in villa, a screaming can be heard which sounds like the outbreak zombies! 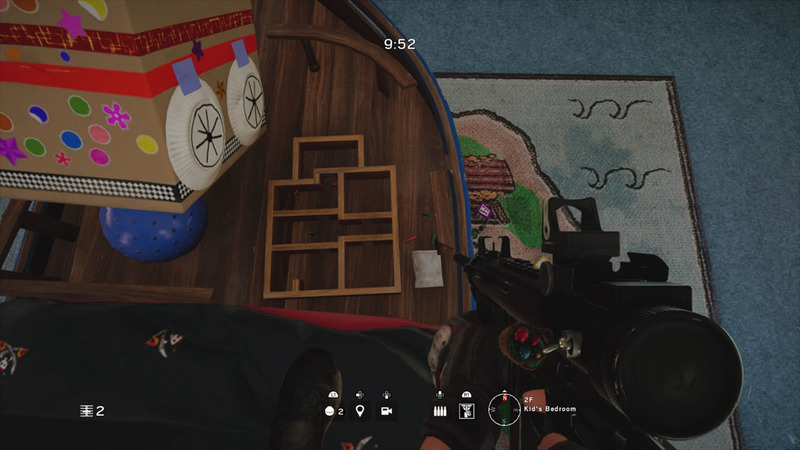 In Work Office on skyscraper, there are multiple r6 books on the shelves. 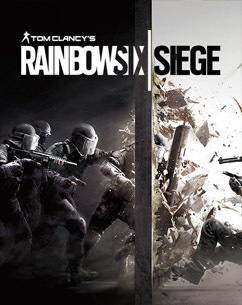 And there are other ubisoft titles including farcry primal, watch dogs, assassins creed unity and rainbow six siege itself.